Winter Percussion April 18, 2019 at 3:30 pm – 5:30 pm Band Room Join Winter Percussion to perfect your skills or learn a new instrument. Meets Tuesdays and Thursdays in the Band Room from 3:30-5:30 with Percussion Coach, Tommy Soto. Grab a quick snack before class starts!Need one Level 3 Chaperone for each meeting. Winter Percussion April 23, 2019 at 3:30 pm – 5:30 pm Band Room Join Winter Percussion to perfect your skills or learn a new instrument. Meets Tuesdays and Thursdays in the Band Room from 3:30-5:30 with Percussion Coach, Tommy Soto.Grab a quick snack before class starts!Parents: We'll need one Level 3 Chaperone for each meeting. 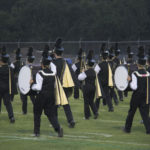 SLOIMBA Meeting April 23, 2019 at 6:30 pm – 8:00 pm Band Room Monthly meeting with Ms. Jeskey and band parents. 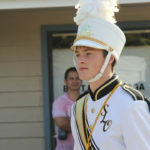 (SLO Instrumental Music Boosters Association) Hear about plans, help with events, ask questions. 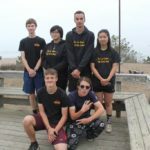 Meet other band parents! Winter Percussion April 25, 2019 at 3:30 pm – 5:30 pm Band Room Join Winter Percussion to perfect your skills or learn a new instrument. Meets Tuesdays and Thursdays in the Band Room from 3:30-5:30 with Percussion Coach, Tommy Soto. Grab a quick snack before class starts!Need one Level 3 Chaperone for each meeting. Winter Percussion April 30, 2019 at 3:30 pm – 5:30 pm Band Room Join Winter Percussion to perfect your skills or learn a new instrument. Meets Tuesdays and Thursdays in the Band Room from 3:30-5:30 with Percussion Coach, Tommy Soto.Grab a quick snack before class starts!Parents: We'll need one Level 3 Chaperone for each meeting. 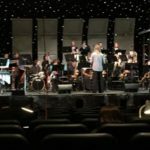 Winter Percussion May 2, 2019 at 3:30 pm – 5:30 pm Band Room Join Winter Percussion to perfect your skills or learn a new instrument. Meets Tuesdays and Thursdays in the Band Room from 3:30-5:30 with Percussion Coach, Tommy Soto. Grab a quick snack before class starts!Need one Level 3 Chaperone for each meeting. Winter Percussion May 7, 2019 at 3:30 pm – 5:30 pm Band Room Join Winter Percussion to perfect your skills or learn a new instrument. Meets Tuesdays and Thursdays in the Band Room from 3:30-5:30 with Percussion Coach, Tommy Soto.Grab a quick snack before class starts!Parents: We'll need one Level 3 Chaperone for each meeting. Winter Percussion May 9, 2019 at 3:30 pm – 5:30 pm Band Room Join Winter Percussion to perfect your skills or learn a new instrument. Meets Tuesdays and Thursdays in the Band Room from 3:30-5:30 with Percussion Coach, Tommy Soto. Grab a quick snack before class starts!Need one Level 3 Chaperone for each meeting.